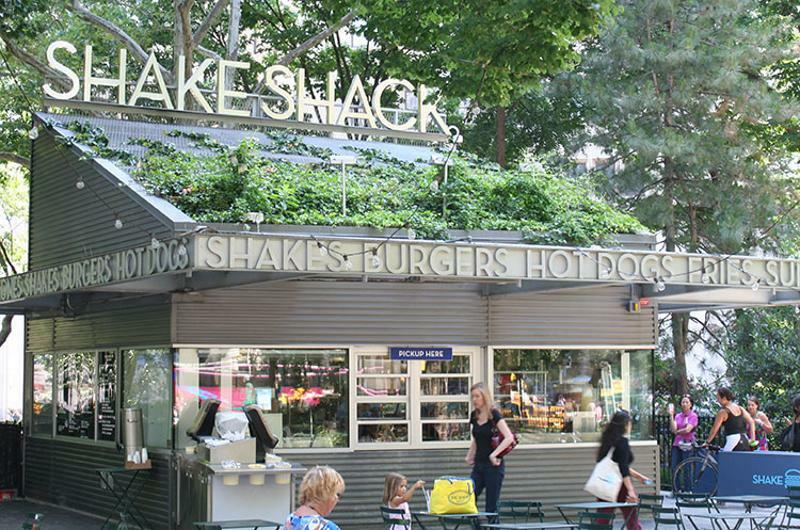 Though generally known for a streamlined menu with few frills, Shake Shack has been churning out regional variations at a quicker clip of late, using them to test potential large-scale offerings and drum up excitement for unit openings. Here’s a look at the fast casual’s recent local items (and one that’s forthcoming). 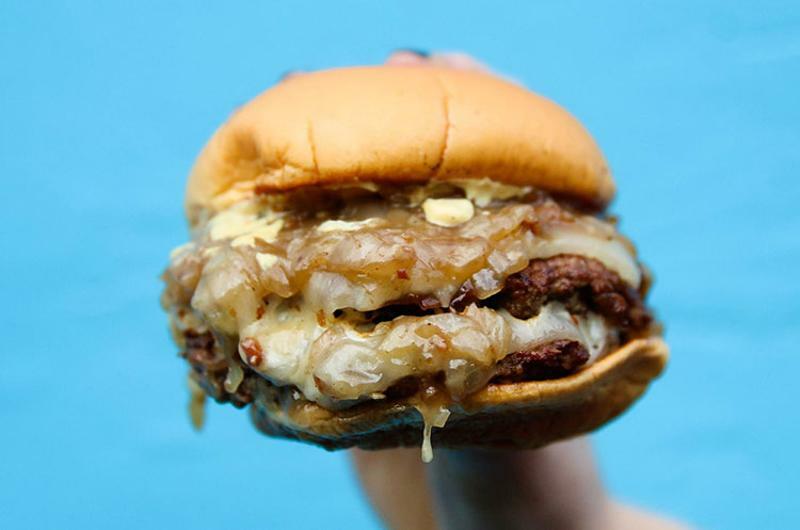 A nod to L.A.’s French dip tradition, this double burger features Swiss cheese, Dijon mustard and beer-and-bacon-simmered onions, and will be available at a West Hollywood unit set to open this spring. The Chick’n Shack; Brooklyn, N.Y.
Before the chain brought its first-ever chicken sandwich nationwide, the item was introduced as a regional special that sold for $6.29. 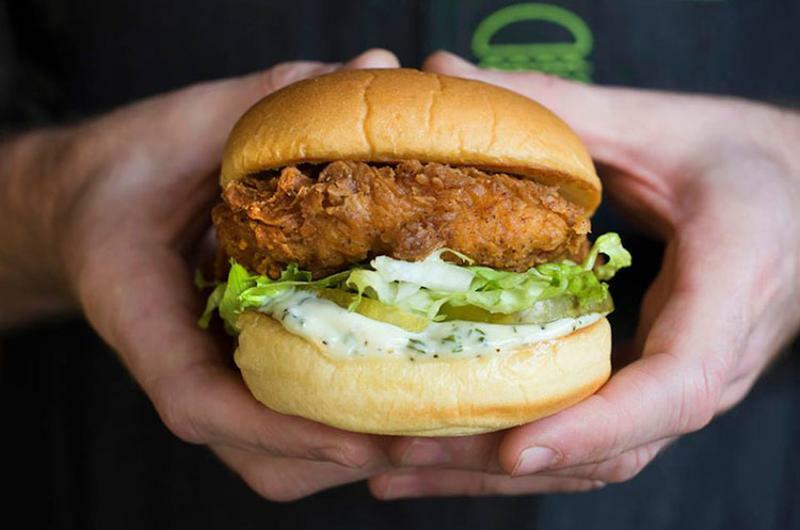 Initial demand for the sandwich—which features fried chicken, pickles, lettuce and buttermilk-herb mayo—was so overwhelming that the three locations offering the item ran out of supply in just two days. 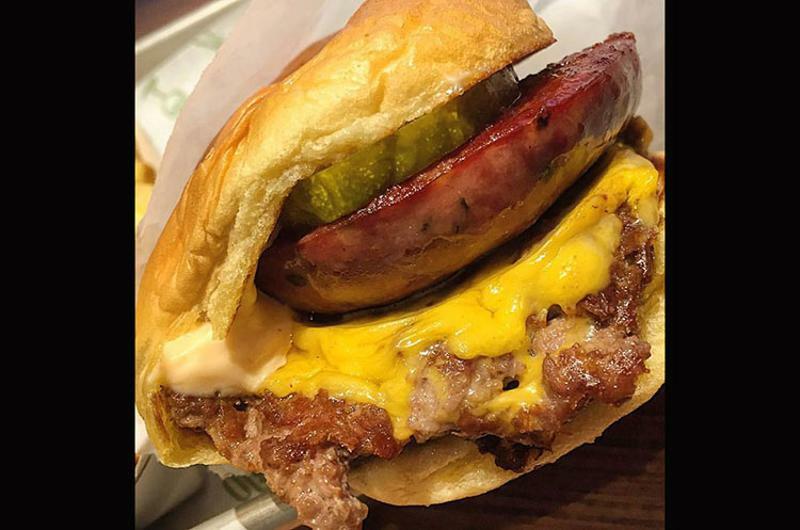 Topped with a jalapeno cheese sausage link, pickles and the chain’s signature ShackSauce, this cheeseburger ($7.49) was tested in Manhattan before becoming exclusive to Shake Shack’s first Austin unit, which opened last May. 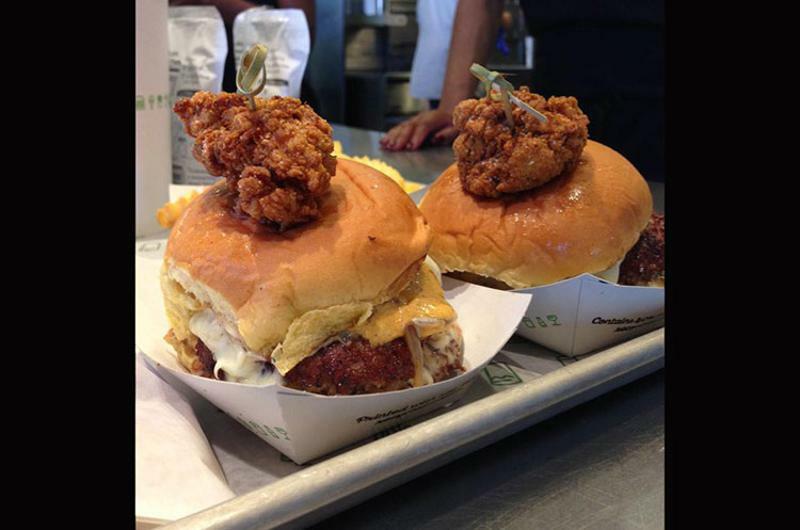 Created in collaboration with Chef Ford Fry, this riff on the carpetbagger steak dish was offered at a single Shake Shack unit for one day only. With two beef patties, cheese, pickles and smoked and caramelized onions, the $8.50 burger tested patrons’ willingness to pay a little more for one of the concept’s limited-edition offerings. 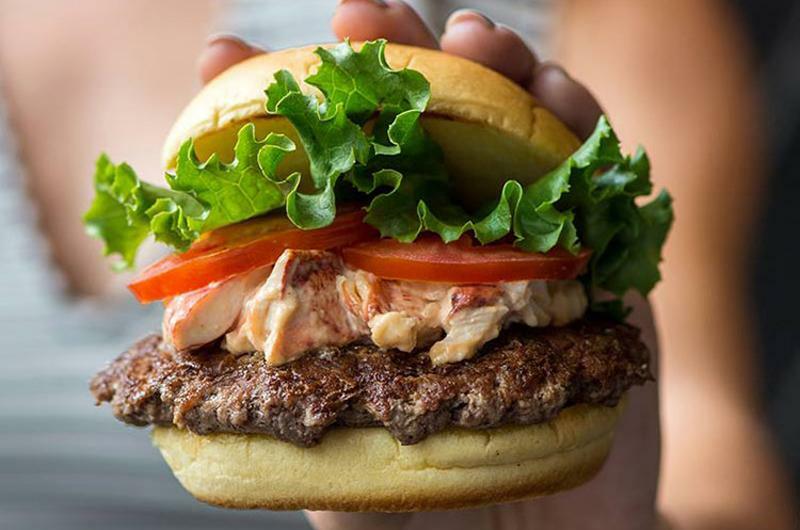 Shake Shack’s answer to the stepped-down seafood trend of last summer topped a burger patty with lobster, tomato, lettuce and ShackSauce, and sold for $8.99. The pioneer of cashless payments says the benefits are outweighed by the exclusion of some customers. Check out some examples of spicy condiment creations that consumers will pay extra for. The 37 locations in Southern Texas owned by Guillermo Perales will remain open. The chain introduced the “KFC Chickendales,” with personalized Mother’s Day videos featuring the dancers.